This entry was posted on Thursday, July 6th, 2017 at 10:54 am	and tagged with Acrylic-Collage, bird images and posted in Acrylic-Collage, Birds. You can follow any responses to this entry through the RSS 2.0 feed. 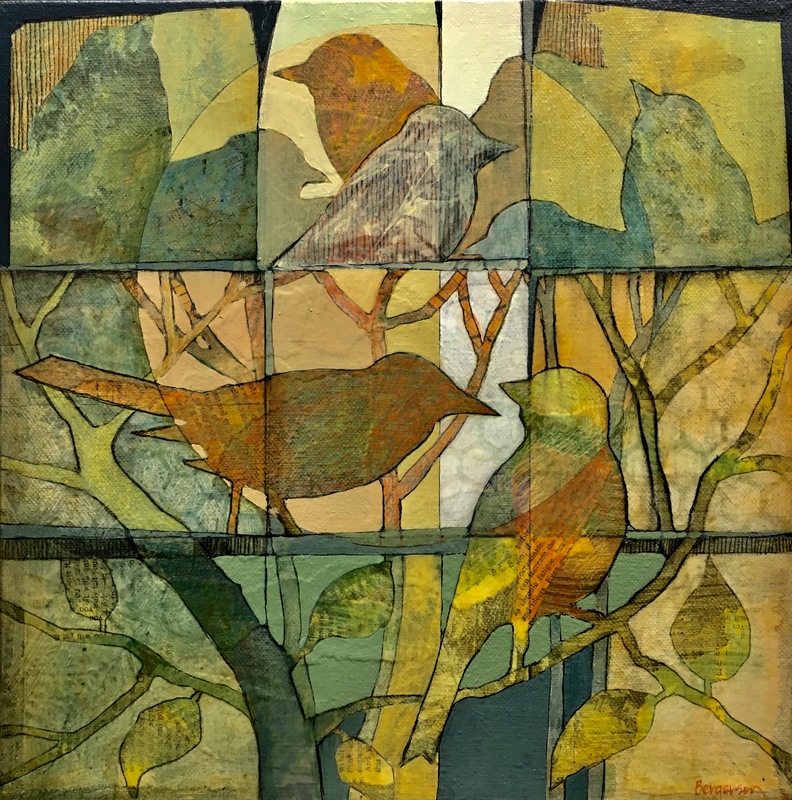 love my birds, love this painting/collage! I just love your paintings and drawings since I found you since last year march. You have such interesting compositions by which i am quite inspired. Funny to notice that you also often paint a circle, birds and trees.as I do too. I used to paint with aquarel paint and coloured pencil. Since I watched your work I have experimented with acryl too. Love this piece but only count 8 birds. Are others hidden? They are all there…….2 are pretty understated however. Thanks. Love the ton sur ton colours.